The Berry Schools send Mrs. Alston her receipt and bill for the Sunshine purchase. 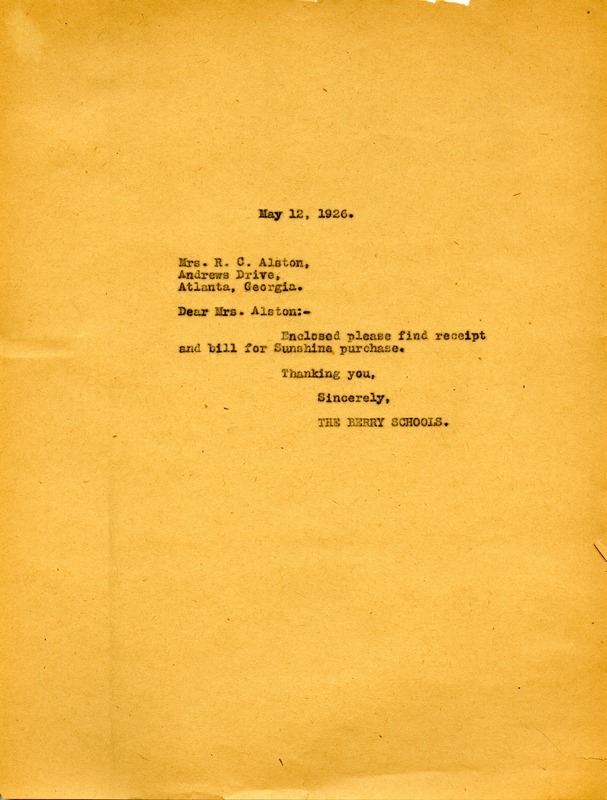 The Berry Schools, “Letter to R.C. Alston from the Berry Schools.” Martha Berry Digital Archive. Eds. Schlitz, Stephanie A., Rachel Renaud, et al. Mount Berry: Berry College, 2011. accessed April 22, 2019, https://mbda.berry.edu/items/show/755.